Today we’re celebrating the birthday of the sister of the Homefront Heroines director (and daughter of a WAVE). Happy birthday, Sharon! And happy birthday cousins Karen and Melanie, also born on the same day. 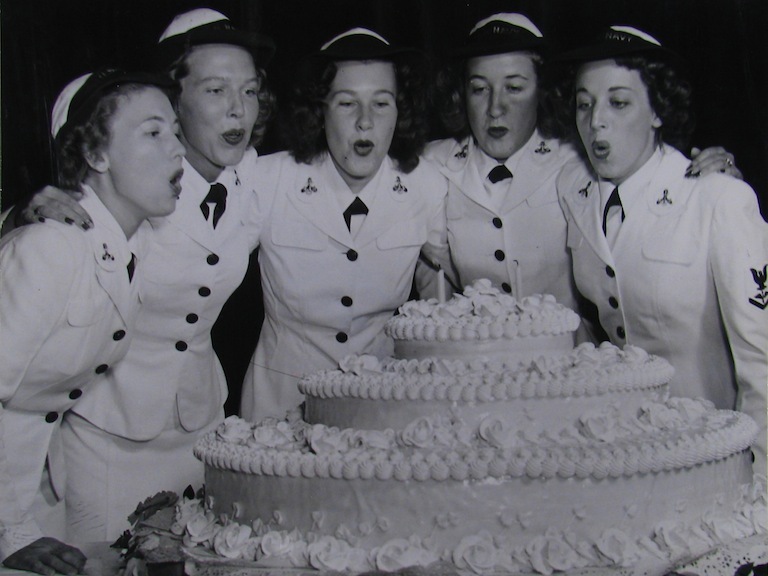 In this photo from the National Archives, WAVES pose behind their 2nd anniversary birthday cake in New Orleans.